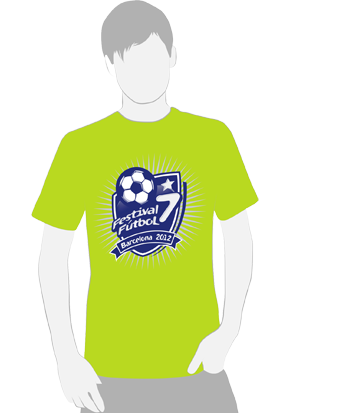 The Festival Tee Shirt is available for all players and included in the registering fee. Should supporters also require a Tee Shirt the cost will be 10 € per supporter. If you would like to pre order your team Tee Shirts we can organise delivery for you and your team with just the added cost of delivery which for a set of 30 Tee Shirts is about 50 € to European countries. Some teams prefer to collect their Tee Shirts during Fridays festival registration & welcome process. Teams that register later than 21st of April are unlikely to receive a Tee Shirt during the festival.